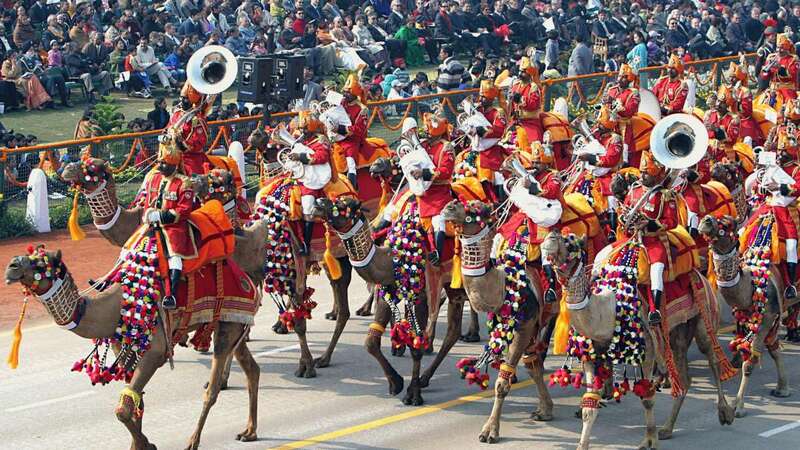 New Delhi : Good news for those who have missed to watch this year's Republic Day parade held at Rajpath, New Delhi. The Defence Ministry has launched an exclusive mobile application to watch the highlights of R-Day 2019. The RDP INDIA 2019’ has been launched on the 70th Republic Day and till date, it has been download by millions of smartphone users across the globe. "It contains information about the parade this Republic Day in Rajpath, New Delhi, including the order of the March, details of the tableaux presented by different States and Ministries, children cultural performances, fly past and names of recipients of Pradhan Mantri Rashtriya Bal Puraskar 2019," according to a statement. "It was extremely informative to the spectators witnessing the parade and was widely appreciated. The app also had the provision for live streaming of the Parade," the statement added. The statement also mentions that the launch of app is a new initiative in connection with the Digital India campaign of the government. The Defence Ministry who wanted to get information on the theme and ideas depicted in the tableaux or watch the entire parade, could do so by downloading the application. Therefore, take time to download the app and be proud of our brave soldiers who serve our country 24 x7 to make us feel protected and comfortable.